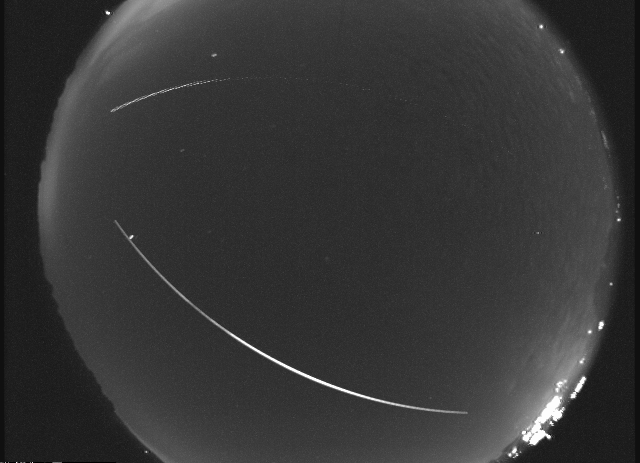 A bright meteor occurred around 5:18 am CDT the morning of September 30th. It was first detected 66 miles above Tennessee City, TN by four NASA All Sky Fireball Network cameras (located in Huntsville, AL, Chickamauga, GA, Tullahoma, TN, and Rosman, NC) and moved slightly south of east at a speed of 147,600 mph. It traveled just over 1 mile through the atmosphere before burning up about 53 miles above the ground. I just saw a bright up close falling star..I was driving my husband to work and a huge fire ball blasted through the sky… I hope the satellites caught it. It was around 4:30am in utah. I’ve heard about the fireball in UT but what is going on with these non moving circular objects near the sun? They’re being reported in Draper, UT. The news channel I was listening to said at first someone saw 2 and then another report of 4. Are there really objects hovering? Some said you have to look at the sun with protection on your eyes to see them, I don’t have anything stronger than sunglasses. Can this be confirmed? Did any satellites pick this up? Hi there mates, nice paragraph and good arguments commented here, I am genuinely enjoying by these. I wonder how so much effort you place to create such a excellent informative web site.